The apartments are kept very clean and the office service is the best. Soma Zangiband, one of the apartment specialists is very kind, thoughtful, and extremely helpful. She is always available to answer my questions on a timely basis. She is also very professional. 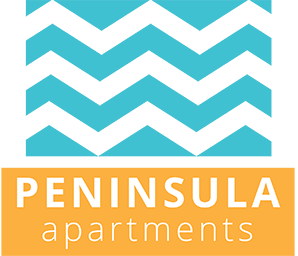 I recommend that anybody who is seeking an apartment in the Peninsula Apartment. Hi Hui, Thank you so much for your feedback! We are glad you enjoy living here and hope that you continue to call Peninsula your home! If you're attending UMass Boston and you're looking for a place to stay, this is your best bet. Especially with the University shutting down a lot of parking due to construction. The Peninsula is a convenient 5-15 minute walk to class. I've been living here for the past two and a half years and I have not really found a reason to move elsewhere. I have thought about it, but the convenience is the thing that keeps me here. The staff here is friendly and will answer any questions or concerns that you have. If you need anything fixed in your apartment, maintenance does a great job of arriving usually within a 1-2 day period, depending on how serious your problem is and how busy they are. Management also gives you timely notice if they need to come into your apartment. Rent is reasonable if you live with roommates. Rent, requesting maintenance and checking your balance could all be done online. Hi Tu, We're so glad you love living here! Thank you for your feedback and feel free to stop by the office any time you need something or just to say hello! Hi Carmen, We're so glad to hear that you've been satisfied with the service maintenance has provided you! We are also looking forward to pool season, you'll love it! Despite being filled with occasionally loud college students, Peninsula is a great apartment community. Additionally the management is world-class! Hi Jeff, Thanks so much for your nice review! We're happy you're here and that you enjoy your apartment! So far so good! Just moved in a couple weeks ago and the leasing office has been awesome. Not too much noise and people have been respectful of "quite hours." I love my apartment and the nice water view I have. Hi Lorraine, We're sure you'll continue to love your new apartment! Please let us know if you need anything as you get settled! I love living at Peninsula Apartments. The apartments are really beautiful and the views are great. I am very excited to use the pool soon!! We're excited for pool season too! Enjoy! Penninsula apartments is a great apartment complex for young and old individuals alike! The buildings are pristine and well-kept. The services provided, including a gym and pool, are exceptional! great community!!!!! Thank you so much for your review! We're so happy you love it here! Can't wait for pool season! The property is very clean. Office staffis tremendously helpful. During snow storms they are on top of plowing empty parking spots. Neighbors can be a bit annoying, especially with music with a lot of bass. Good, safe, clean, perfect place if you’re a studnet at UMass Boston. Great community. Perfect facility and management office. Close to JFK and UMB. Living here has been great, it’s very clean and quiet for the most part. The only thing I don’t like is how much the electric comes to each month because we are really good about keeping things off. Other than that everything is great. Hi Courtney, Thanks so much your review! I would contact Eversource about your electricity bill, they may be able to tell you more about your usage to help bring it down! It's sad to see that I'm paying expensive rent and have only one operating elevator for half the year. The only reason I live here is that its close to campus and it's better than Harbor Point, which isn't saying much. Granted some of the stupid things like the fire alarms going off, broken exit signs, and trashing the elevators are due to college students that live here, I will be glad when I am gone. With the installation of the new dorms there are going to be so many more people and problems here. I am not looking forward to it. Hi Jacob, Thank you for taking the time to leave your feedback. We are sorry to hear you feel this way. We have made a lot of changes recently to make your living experience enjoyable. If you would like to meet with us to discuss further, please stop by the office any time! Elevators always breaking, hallway carpets always messy, gate never opens, lots of work needs to be done. Nice friendly staff helps you with whatever you need. Hi Luke, Thank you for taking the time to leave your feedback. We are sorry to hear you feel this way. We have made a lot of changes recently to make your living experience enjoyable. If you would like to meet with us to discuss further, please stop by the office any time! Living in the peninsula apartments has been a great experience the apartment is really nice and has a great location. The amenities the apartment offers are excellent. Alex was my leasing consultant she did a really good job making sure everything was in line and smooth for the application process throughout signing the lease. Hi Luke, we are so happy to hear you had a smooth move in process! Please let us know if you need anything as you get settled in. Thank you! We're glad you chose us! My experience at Penninsula apartment has being on the overall great. The location is very strategic for me as is near my university and a grocery store. Thank you, Maria! We're glad you enjoy it here! my experience at peninsula has overall been well. the people here are very nice and the staff is very nice too. the broken elevators get annoying sometimes but but that is the only problem i have had. Hi Reaghan, Thanks for your feedback! We're happy to report the elevators are in good shape now! I have no idea if we are a community. I see certain events but have not participated in any since they are within work hours. If events are at night that would make sense to take part. Hi Zohreh, Thank you for your feedback, we are working on having events at varying times so everyone can come! Keep a look out for next month's newsletter- I think you'll be pleased! Very helpful staff! Very nice people. Nice apartments! I love how they are pet friendly. Nice location near the water. Great gym for everyday use. I like this apartment, with mail room, locker, gym. However, since I live at the first floor, there is no trash room for this floor. I have to go out to drop the trash. I have loved every minute of living at peninsula apartments. The complex is very clean and makes me feel at home. The security also makes me feel safe. Alex in the leasing office was so helpful! She was able to show us all of the available units and answers all of our questions! The lease process was very easy and moved quickly. Haven’t moved in yet, but have been very satisfied with the process so far. Staff was very friendly and have been accommodating to all my questions and needs. Elevators broken, wish the window opened more. Nothing deal-breaking though, and the garbage chute is really cool. I think the people who owned the place before me left a neat little [Shiva?] card on the door to the den. It watches over me when I sleep.